Account Groups: Juggle multiple accounts like a pro. Separate or blend work and personal, job A and job B, your account and your boss’ account – or mix and match to suit your needs. Favorites Bar: Keep your go-to folders and accounts accessible at all times with a single click from the favorites bar. Tabs: Reduce clutter with tabs, just like a web browser. Keep multiple messages, folders, contacts or topics open to easily switch between them. Dropbox, One Drive and Box Integration: Big files, small files, lots of files – whatever you have, send it quickly and seamlessly by adding Postbox's cloud file-sharing capabilities. File and Image Search: Attachments at your fingertips. Postbox lets you find and use files and images hiding in your mail – even while you’re composing a new message. Pre-Made Responses: Sending the same thing over and over? Streamline your work with pre-made responses that you can reuse as often as needed. Real-Time Tracking: Time flies when you’re composing emails. Keep yourself on task with time and word-count trackers. Focus Pane: Tackle what’s important right now using the real-time filters of Postbox’s innovative focus pane. Just want to see all unread messages from your team from today? Done. Attributes: Instantly view unread messages, or those with attachments. Scan your reminders, subscriptions, or social updates with a single click. Topics: Break your work into small, manageable chunks with custom topics for projects, events, or however organize your work. Create and delete topics, and reorder them to reflect your goals. Favorite Contacts: Target messages by contact. View messages from your boss, your other boss, all of your bosses, or the entire team with just a few clicks. Quick Search: Find what you need in a flash with Postbox’s ultra-fast search. Jump to a recent search, or refine your search right in the search bar. Advanced Search: Looking for emails sent by your biggest client in the past month about an important project? Target your search by sender, subject, date range and other attributes. Content Search: Your days of digging for lost attachments are over. 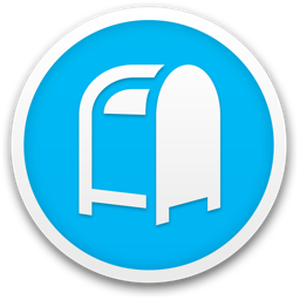 Postbox lets you easily find and use documents and images hiding anywhere in your email. Mailbird is an email client for Windows, that provides all the right features and tools to help you reach inbox zero faster. It has features such as the first Email Speed Reader, Quick Compose, Productivity Apps and more.